South Sudan is a country that has emerged from a traumatic civil unrest that has left 90% of the population in utter poverty. 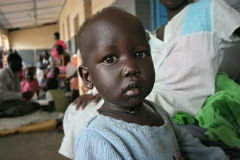 The majority of the south Sudan population live in a pitiable situation of poverty. The majority are rural while urban poor depend on petty businesses. The introduction of a micro-loan programme to the South Sudanese will be a great relief to boost the businesses of the self-employed. The majority of the population are involved in at least one kind of business for sustenance. The project will be sustained through regular savings (deposits) of members and upon gaining momentum will utilize its profits and revolving funds for sustainability. Regular monthly meetings will be held with the project committee and workers to exchange ideas. This loan programme initially commenced in Juba, the capital of South Sudan, particularly helping those displaced from Khartoum who are struggling with insufficient income from their small businesses. There are a large number of displaced people in Juba, people who have lived through two decades of war and oppression and are living in extreme poverty. As the partnership develops, it will expand into other centres and to those who at the moment do not have the training or the capacity to take a loan or repay one. Bright Hope World has been partnering with Thomas and Joyce Lubari for a number of years and their work in Jinja, Uganda (UGA04a). In addition to leading a church in Jinja, Thomas makes frequent visits to South Sudan where he is involved in church development, loan programmes and training leaders. After seeing so many lives changed following the establishment of the micro-loan programme in Jinja (UGA04b), Thomas was keen to set up a similar programme in South Sudan. BHW's Field Director was with Thomas and Joyce in July 2011 on the day that South Sudan gained independence; it was time of great passion and rejoicing, reminiscing and planning for the future. Thomas has huge dreams for his land of birth that includes micro-loans, income generation, agriculture and food production. This loan programme will have a wide reaching effect starting with church members and spread wider to local communities, vulnerable widows, farmers and the needy in South Sudan. This programme will largely be based around women as head of houses, but no one will be discriminated against. Thomas and Joyce have experience in running this type of programme. Also, they have a trustworthy person on the ground to oversee it. We like it because it is a place of great need and also of great opportunity. These are a powerful combination. A successful pilot project has been run in Uganda with Thomas and Joyce and this is the natural extension of this. As conditions in South Sudan are different to Uganda, it will be monitored closely to learn as much as we can so we can replicate it in other parts of South Sudan. The greatest risk here, apart from ongoing instability, is finding people who will faithfully lead the projects and then repay their loans. There is little understanding of basic economics. They have suffered years of internal conflicts. Then came independence and the huge influx of NGO's with their handout mentality. Then again, ongoing tribal conflict keeps the place from developing any sense of normality. 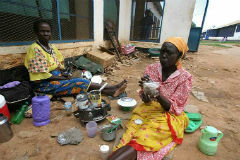 Thomas and Joyce Lubari are refugees from Sudan although have lived in Uganda for many years. Thomas has a background in agriculture and theology and is currently pastoring the church they planted in Jinja. Joyce is trained in accounting and currently works in the administration department of a Bible School. They have five children although are also responsible for many other children from Thomas and Joyce’s extended families as a number of their siblings have died and they are left with responsibility for the children. Rose is Thomas' niece, the eldest daughter of his late brother. 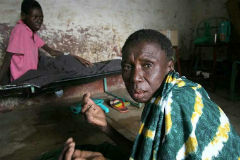 Her mother died of tuberculosis in 1983 and her father remarried a Congolese lady. He was the pastor of a Sudan Pentecostal Church in Yei but in 1988 shifted to the Congo leaving Rose with her maternal grandmother. In 1989 the Sudanese were forced into exile and Rose and her grandmother became internally displaced, living in a refugee camp in Uganda. 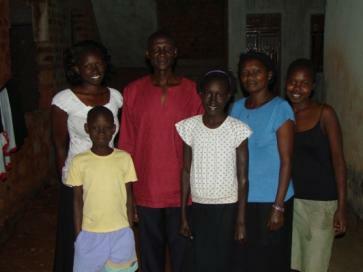 In 1991 Rose joined Thomas in Koboko, Uganda while he was pastoring a church there. Despite being late starting school, she studied hard and led her class in the advanced level exams. She has recently completed a Degree in Entrepreneurship (microfinance) at the Kyamabogo University. Rose is married and is currently in South Sudan, living in Yei. She will be the facilitator for the micro-loan programme.